A dental cavity is a hole that is formed within the teeth as a result of tooth decay and insufficient dental care. It is mainly identified using Dental X-rays or symptoms like food lodgement, toothache pain, especially after hot or cold food or drink. 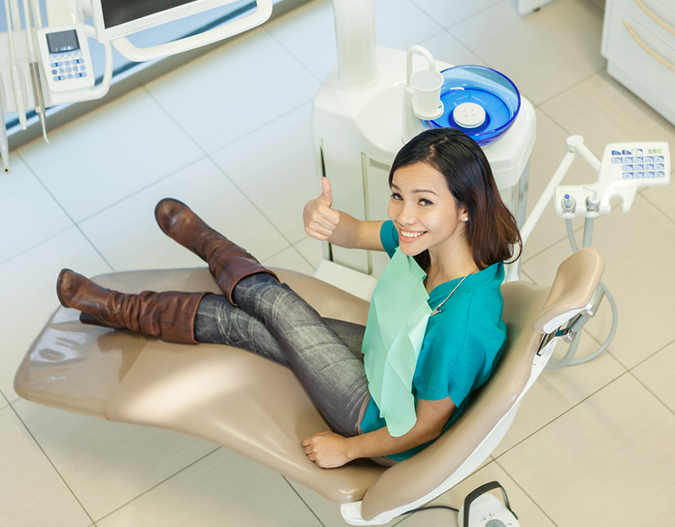 Dental Cavities are treated by removing the decay and filling in the tooth area with suitable material to prevent further decay and strengthen the affected tooth. Fillings also serve to repair cracked and broken teeth or teeth that have been worn down due to tooth grinding or nail-biting habits. Traditionally, Dental amalgam has been used as a filling material. It is a mixture of metals, consisting of liquid (elemental) mercury and a powdered alloy composed of silver, tin, and copper. While it is highly durable and inexpensive, the silver colour is obvious and less appealing. Composite or Ceramic teeth fillings are a great alternative to metal fillings as they are colored to look like a natural tooth beside being highly durable. It is a preferred material for people with metal sensitivity and those conscious of the appearance of their teeth. We offer a comprehensive treatment for dental cavity with live dental X-Rays using RVG and the best of material for filling. We also offer replacement of existing silver fillings with the more appealing tooth-coloured ceramic fillings. Dental Implants are not only excellent as a cosmetic restoration technique, but they have the potential to drastically improve your oral health. Because they integrate with the jawbone, they strengthen bone tissue and help preserve facial shape and appearance. Dental Implants used at Dr. Gupta's Dental Implant and Orthodontic Centre are made of Titanium which offers the benefit of being light weight and strong. The metal is not rejected by the body (biocompatible) and through a process called osseointegration allows a mimic of the natural connection between the jaw and the tooth’s root. It is the most widely used metal in orthopaedic joint replacement and dental implants. Dr. Gupta's Dental Implant and Orthodontic Centre provides various restorative dental services for people of all ages. Our dental clinic is located in Gurgaon Sector 31 and is easily accessible from Gurgaon Sector 30, 15, 32, 40. Contact us for dental restorative services in Gurgaon Sector 31.